If you were to ask me my favourite time to be in Jamaica, I would have to say it’s Christmas time. Christmas and Independence are the two periods in which the already lively Jamaica showcases its best. In our tropical island paradise homeland, Christmas is way longer than one just day and it has little or nothing to do with money… except for just enough to eat, drink and have a good time. Here is Christmas, Jamaican style. A Jamaican Christmas season spreads throughout December to the New Year. Like an Indian wedding, it never ends! Why stop when there is so much fun to be had? 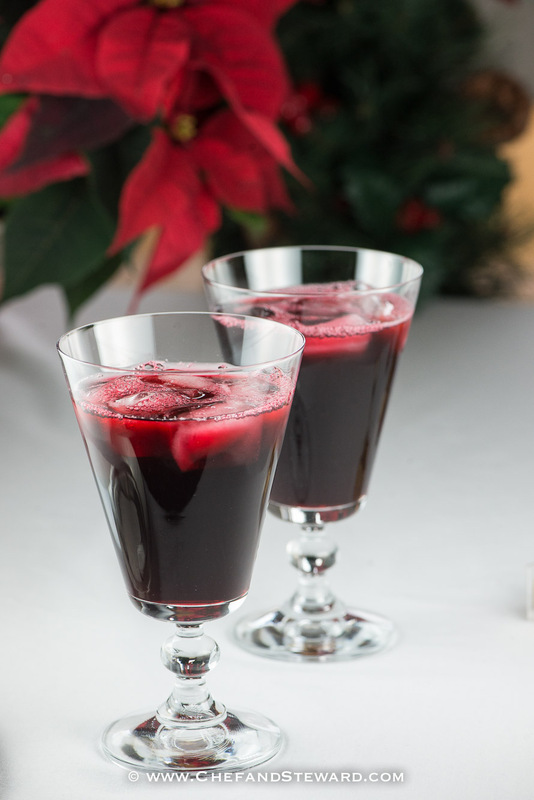 While the ham, roasts, and turkey may be long gone by the new year, our homemade fermented sorrel (a hibiscus sangria) just gets better with age as does our traditional Jamaican Christmas Pudding that is traditionally soaked with alcohol to keep it moist for very long periods. One of the delights of the Christmas season for us Jamaicans is going from house to house, visiting with our relatives and friends for the obligatory holiday visit but also to be able to feast on everybody’s unique version of Christmas pudding and sorrel. The thing I miss most about Christmas in Jamaica is not doing anything. I mean I would literally just sit on the stool and taste test and provide company and jokes while Ma baked the best Christmas pudding ever, brewed sorrel, baked ham and scones for Christmas morning breakfast and made Jamaican Egg Nogg. But getting married and moving away means I have become my own woman and until I find myself at home in Jamaica on that stool for Christmas, I have to recreate those memories for myself and make new ones for our son. 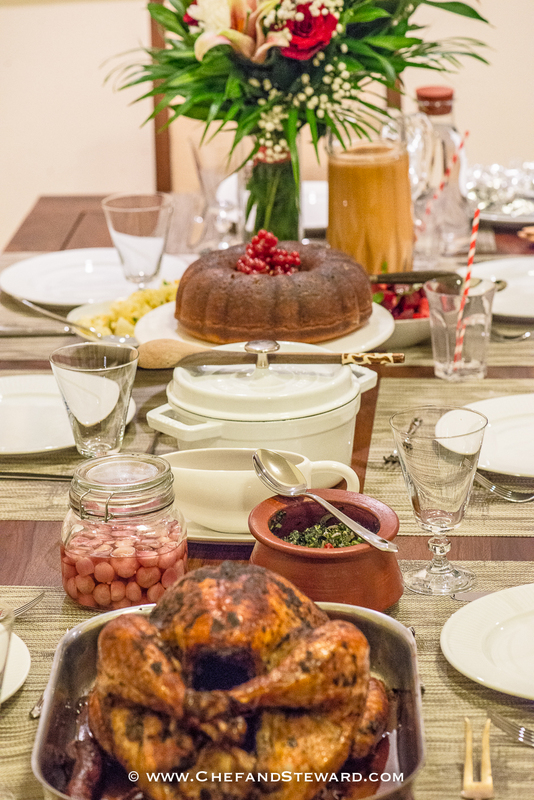 We created three recipes commissioned by Food Emag DXB for their Festive issue, which will be published in a few days. We have made the recipes practical, vibrant and delicious so you can add Jamaican notes to your celebrations from now and onwards. The two photos above are from that photo shoot. It’s so much fun styling and shooting projects like these and we look forward to more opportunities in the upcoming year. But until schools resume in January, it’s still Christmas! We have put together a really fun playlist to share the essence of a Jamaican Christmas season with you. Just click on the link and have the songs play in the background while you read this post. We also have lots of Jamaican Christmas Recipes linked in this post. We even have some old circa 1980s videos for some of the songs in the playlist. Trust me, while compiling the playlist, these songs brought back so many memories that I actually went into the kitchen and started cooking up Jamaican favourites for a late night intimate candelight Christmas Dinner for all three of us last night. 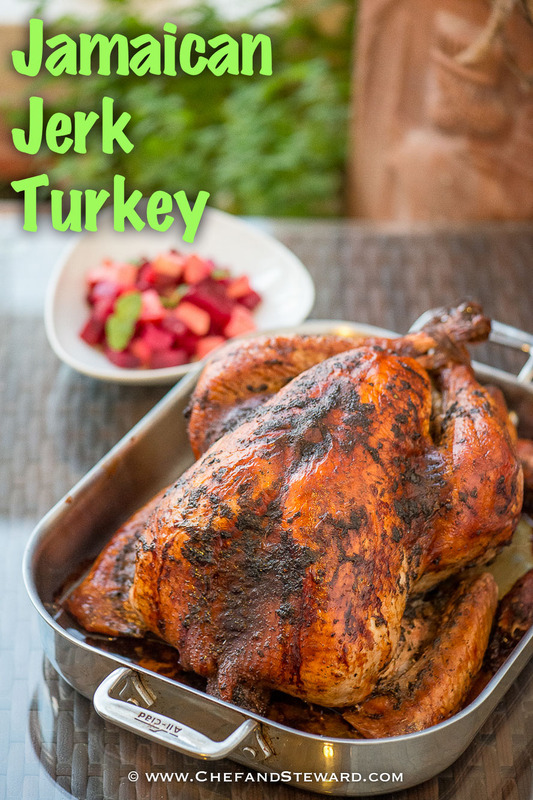 Jamaican Jerk Turkey Recipe and step-by-step instructions on how to roast a juicy, succulent turkey. Trinidadian Ponche de Creme (or Jamaican Egg Nog) that tastes even better as it matures and is worth every ounce it will add to your waistline. It also makes a great drink to entertain or package as gifts. Fragrant Jamaican Rice and Peas that will make you long for your grandmother. For a very festive side, make your own Allspice Picked Beets and donate every can of beetroot in your pantry to people who need it. Your kids will never hate beets again! And for dessert, a smooth and creamy Jamaican Blue Mountain Coffee Ice Cream that is perfect on it’s own or with a chocolate fondant or other cake. 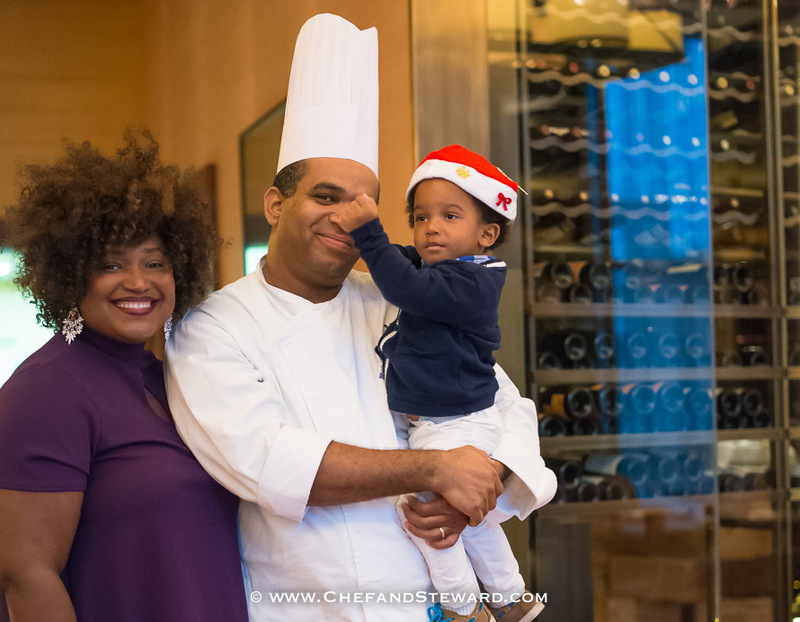 And from our family to yours… Merry Christmas and a Happy New Year! May you feast on love and joy and remember to share and those who are not as fortunate as you. Remember time and love are the most important resources we have so give them freely. Oh my!!!! Jerk turkey…I feel faint 😉 The little man is going to be a heart breaker one day. T, You wouldn’t believe how much of a ruckus we created with this recipe when we developed it last year! We created it as part of our feature on the hugely popular American blog Design Sponge and the rest is history! You MUST give it a try! Thanks much Rebekah… all of the food is as delicious and it looks! Looks and sounds like your family had a fantastic Christmas! Sorrel is definitely awesome, and it’s hard to find here in L.A. Thanks for sharing these recipes! Some of them will be perfect for the winter, whether it’s a holiday or not. Yes Chrystal… they are indeed great all winter long! We managed to do very well this holiday and I think its my first ever Christmas without Christmas pudding. Maybe I’ll bake this Christmas 2016. Those pictures are amazing! Even though the holiday season is over I was really enjoying your playlist and little man is adorable. Thank you so much for joining our link party and Happy New Year! Let’s stay in touch. It was certainly fun to join the link party Sandra! Im thrilled you found the pictures inviting! A belated Merry Christmas and Happy New Year to your lovely family! 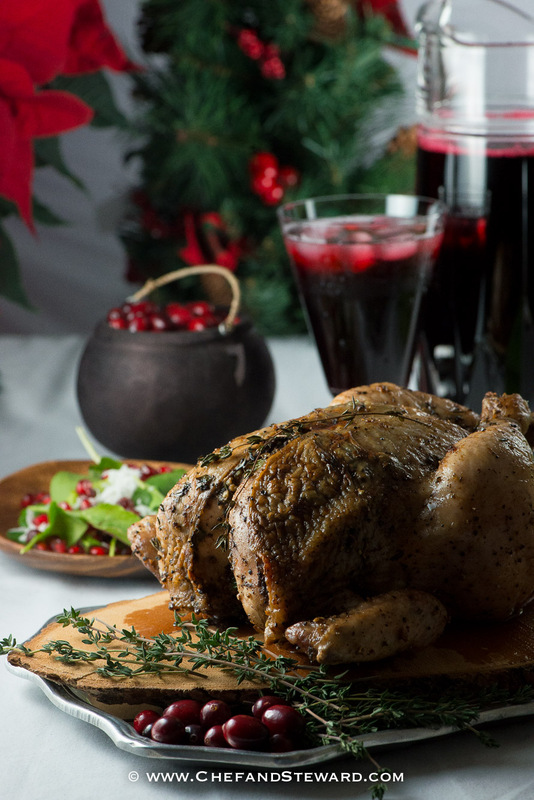 I think I want to celebrate the holidays Jamaican style—that turkey (well, everything!) looks fabulous! Thanks much Liz! And this year, you should absolutely infuse some Jamaican vibrations to your holiday celebration! This is the post I was looking for. So happy I found it! Thanks for your invaluable feedback Sandra. I have been working hard at making the immense amount of content we have on this site more readily available. So this comment lets me know that my efforts are working. God bless you. I can’t see what great things you have planned for the holidays!